John Nash (18 January 1752 – 13 May 1835) was a British architect responsible for much of the layout of Regency London. His first significant commission after returning to London was Hereford gaol. In June 1797 he moved into 28 Dover Street a building of his own design, he built an even bigger house next door at 29 into which he moved the following year. Nash married 25-year-old Mary Ann Bradley on the 17th December 1798 at St George's, Hanover Square. In 1798 he purchased a plot of land of 30 acres (120,000 m2) at East Cowes on which he erected 1798-1802 East Cowes Castle as his residence. It was the first of a series of picturesque Gothic castles that he would design. In 1806 Nash was appointed architect to the Surveyor General of Woods, Forests, Parks, and Chases. From 1810 Nash would take very few private commissions. Nash was a dedicated Whig and was a friend of Charles James Fox through whom Nash probably came to the attention of the Prince Regent (later King George IV) and for the rest of his career he would largely work for the Prince. His first major commissions in 1811 from the Prince was Regent Street and the development of an area then known as Marylebone Park. With the Regent's backing (and major inputs from Repton), Nash created a master plan for the area, put into effect from 1818 onwards, which stretched from St James’s northwards and included Regent Street, Regent's Park and its neighbouring streets, terraces and crescents of elegant town houses and villas. Nash did not complete all the detailed designs himself; in some instances, completion was left in the hands of other architects such as James Pennethorne and the young Decimus Burton. Nash was employed by the Prince to develop his Marine Pavilion in Brighton, originally designed by Henry Holland. By 1822 Nash had finished his work on the Marine Pavilion, which was now transformed into the Royal Pavilion. Nash was also a director of the Regent's Canal Company set up in 1812 to provide a canal link from west London to the River Thames in the east. Nash's masterplan provided for the canal to run around the northern edge of Regent's Park; as with other projects, he left its execution to one of his assistants, in this case James Morgan. The first phase of the Regent's Canal opened in 1816. Together with Robert Smirke and Sir John Soane, he became an official architect to the Office of Works in 1813. Further London commissions for Nash followed, including the remodelling of Buckingham House to create Buckingham Palace (1825–1830), and for the Royal Mews and Marble Arch The arch was originally designed as a triumphal arch to stand at the entrance to Buckingham Palace. It was moved when the east wing of the palace designed by Edward Blore was built, at the request of Queen Victoria whose growing family required additional domestic space. Marble Arch became the entrance to Hyde Park and The Great Exhibition. He advised on work to the buildings of Jesus College, Oxford, for which he required no fee but asked that the college should commission a portrait of him from Sir Thomas Lawrence to hang in the college hall. Nash's career effectively ended with the death of George IV in 1830. The King's notorious extravagance had generated much resentment and Nash was now without a protector. The Treasury started to look closely at the cost of Buckingham Palace. Nash's original estimate of the building's cost had been £252,690, but this had risen to £496,169 in 1829 the actual cost was £613,269 and the building was still unfinished. This controversy ensured that Nash would not receive any more official commissions nor would he be awarded the Knighthood that other contemporary architects such as Jeffry Wyattville, John Soane and Robert Smirke received. Nash retired to the Isle of Wight where he died on the 13th May 1835 in his home, East Cowes Castle, and is buried at St. James's Church, East Cowes. 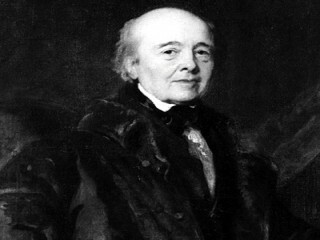 Nash had many pupils including Humphry Repton's sons, John Adey Repton (1775–1860) and George Stanley Repton (1786–1858), as well as Anthony Salvin, John Foulon (1772–1842), Augustus Charles Pugin, James Morgan and James Pennethorne.